Fairy Tail Season 3 release date confirmed for 2018: Fairy Tail Season 8 (English dub) anime episodes are ‘final’ says manga creator Hiro Mashima - Is Fairy Tail Season 4 Possible? Fairy Tail Season 3 release date confirmed for 2018: Fairy Tail Season 8 (English dub) anime episodes are ‘final’ says manga creator Hiro Mashima – Is Fairy Tail Season 4 Possible? Updated December 14, 2018: Added number of episodes. 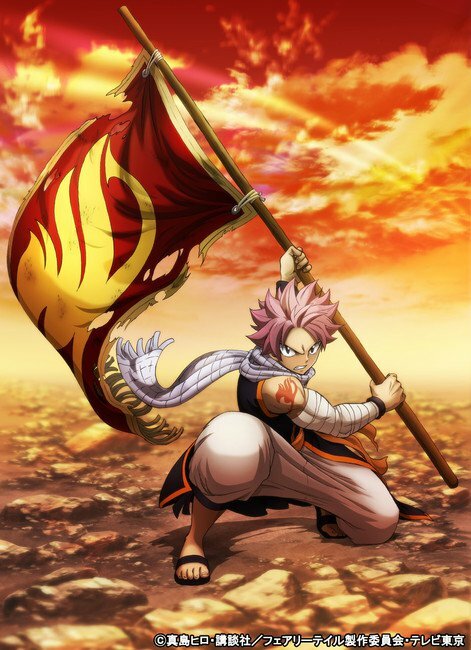 The Fairy Tail Season 3 release date has finally been officially confirmed by Fairy Tail manga creator Hiro Mashima! 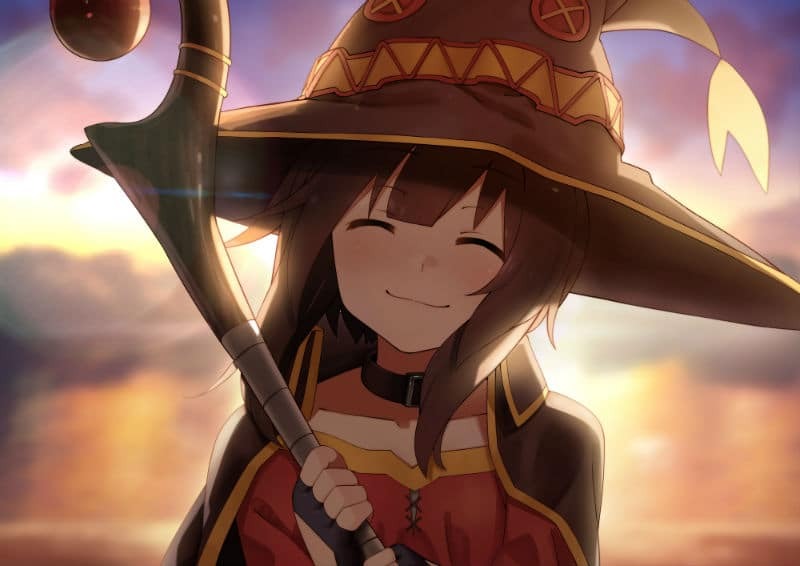 The anime began airing in Japan on October 7, 2018. 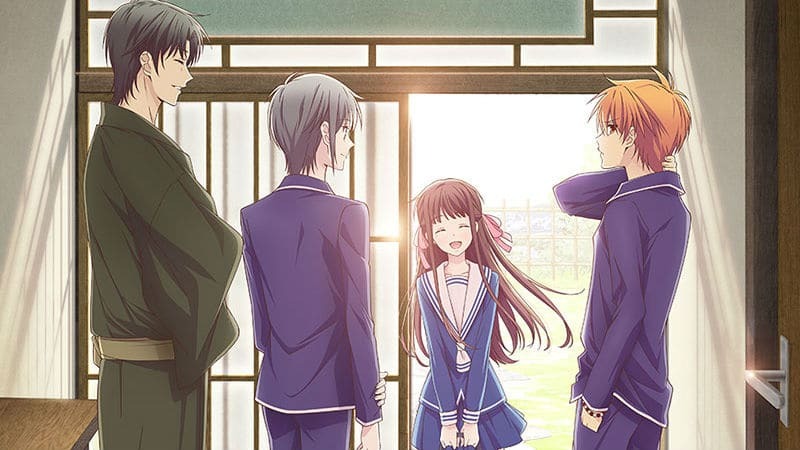 The English dub from Funimation premiered on October 29, 2018. What’s more, anime studios A-1 Pictures and Bridge have confirmed that Fairy Tail: Final Season will be 51 episodes long. Anime fans have been anxiously awaiting the news ever since the second season finished airing in Japan back in 2016. It has been made quite clear that either Fairy Tail 2019 or Fairy Tail 2020 will be the end of the anime adaptation. But not only will Natsu Dragneel, Lucy Heartfilia, Happy the Cat, Gray, Erza, and other Fairy Tail characters return in 2018… Mashima is working on a new manga sequel! The hype train left the station back in the summer of 2017 when Mashima tweeted, “The Final Season of FAIRY TAIL TV anime will go on air in 2018!” Fast forward to April 2018 and the manga creator teased everyone that he “would be able to make various announcements” on April 5, 2018. That Fairy Tail anime announcement turned out to be the revelation of multiple projects. Second, he announced a new fantasy manga series that will begin serializing in the summer of 2018. The author even specified the exact release date for the new series. “Finally I start new series on Weekly Shonen Magazine No.30 (June 27 on sale)!” he tweeted. The big surprise was that Mashima announced a Fairy Tail manga sequel, as well. “I decided to create a spin-off comic and another spin-off manga for the sequel to Fairy Tail,” he tweeted. The Fairy Tail sequel is called Fairy Tail: 100 Year Quest. The story starts right where Chapter 545 of the first manga series left off, which means that Fairy Tail Season 4 remains a very real possibility in the future. This article provides everything that is known about Fairy Tail Season 3 and all related news. As such, this article will be updated over time with news and rumors. Meanwhile, let’s delve down into what is known for certain. English Fairy Tail Season 8 Versus Japanese Fairy Tail Season 3 — What Gives? Readers who read the entire headline probably noticed that Fairy Tail Season 3 was also listed as being Fairy Tail Season 8 for the English dub. While that seems confusing, the season designation changes depending on the audience’s location. This confusion is largely caused by the differences in how Japanese TV broadcasters label anime seasons in comparison to the Western world. Anime series are divided up into three-month units of broadcasting called a “cour” by the industry. An anime season that runs continuously for more than 10 to 13 episodes is considered a single multi-cour season. A multi-cour anime season may run for multiple years in a row with only small breaks in broadcasting and still be considered a single season. Fairy Tail Season 1 was broadcast in Japan from 2009 to 2013. Season 2 resumed in 2014 and ended in March 2016. Season 3 will start in the fall of 2018 and broadcast through at least 2019. 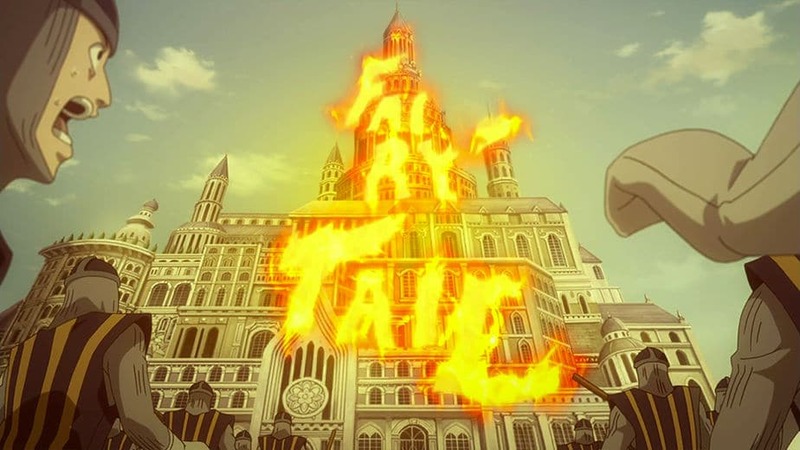 However, the English-language version of Fairy Tail was divided up into seven seasons. That means the ending will probably be labeled Fairy Tail Season 10 for release in the United States, Canada, and the United Kingdom. To make matters even more confusing, the 2016 prequel Fairy Tail: Zero is sometimes labeled as Fairy Tail Season 8, which would make the upcoming episodes Fairy Tail Season 9. That means the ending could be considered Fairy Tail Season 11. Fairy Tail Manga Compared To The Anime: Season 3 Likely To End In 2020? Fairy Tail Season 3 will have a decent number of episodes, enough for four cours. The ending of Season 2, Episode 277: “Message of Fire”, covered the beginning events of the Avatar story arc. Since the manga finished off with Fairy Tail Chapter 545, that means Fairy Tail Season 3 will cover 125 manga chapters. So far, the anime adaptation has a chapter-to-episode ratio of about two-to-one, so it seems reasonable to speculate that Fairy Tail Season 3 will have at least 60 episodes (and that’s assuming no filler episodes). We know for certain that the Fairy Tail Season 3 release date is scheduled for October 7, 2018. 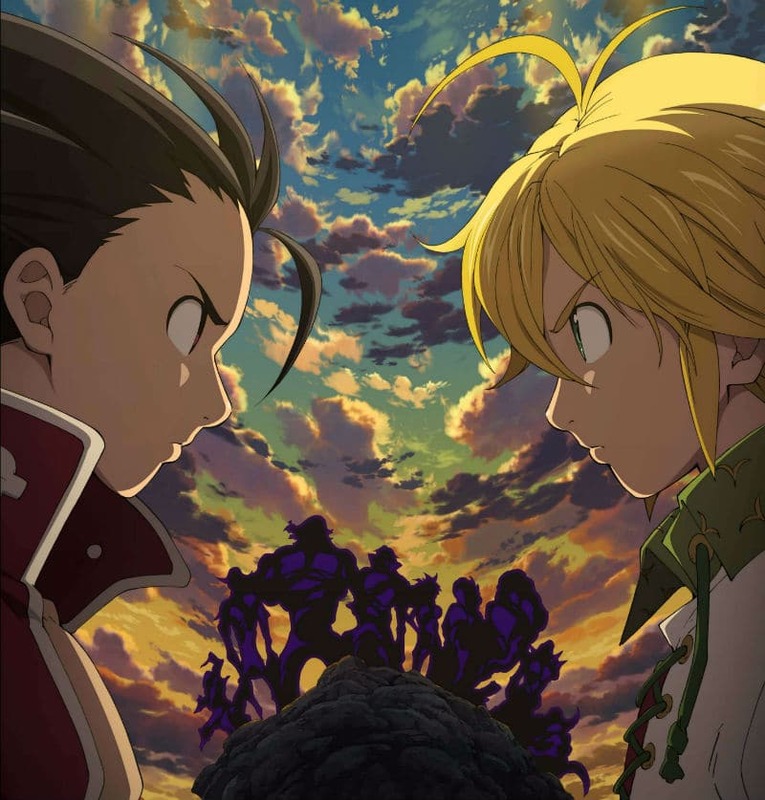 Assuming a weekly broadcast that’s interrupted by the occasional short break, that means it’s possible the finale will air in Japan in either the fall 2019 anime season or will finish up with Fairy Tail 2020. Mashima once called the third season the “final” season, but it’s possible the manga sequel, Fairy Tail: 100 Year Quest, could have enough chapters by 2022 for Fairy Tail Season 4 to be produced. Thankfully, Crunchyroll will be streaming the Fairy Tail Season English sub as a simulcast starting October 7th. Regarding the Fairy Tail dub, the first two seasons of the English dub were never completed. However, Funimation secured the licensing for Fairy Tail Season 3. Unfortunately, despite the series’ popularity, the Fairy Tail dub will be delayed by several weeks and start streaming on October 29, 2018. Funimation has been experimenting with simuldubs that stream the same day as the Japanese broadcast. So far, they’ve had good success in 2018 with same-day dubbed releases for Tokyo Ghoul: re and My Hero Academia. But no such love for Natsu and crew! It has already been confirmed that most of the Fairy Tail cast and staff will be returning for producing the third season. A-1 Pictures will be producing the third season with director Shinji Ishihira taking the lead. Masashi Sogo handles series composition, Shoji Hata is the sound designer, and composer Yasuharu Takanashi will create the music. A second studio named Bridge will be joining the Fairy Tail staff. They’re known for providing animation assistance for well-known anime like Dragon Ball Super and Sword Art Online. Character designers Shinji Takeuchi and Toshihiko Sano are also new staff members. The manga Fairy Tail sequel has only just begun, but it’s possible an anime adaptation could happen in the future. Mashima will be a supervisor for the series and write the storyboards, but manga artist Atsuo Ueda will be helping create the story for Weekly Shonen Magazine. While that means the new Fairy Tail manga will not be drawn directly by Mashima, he will provide oversight for all story arcs and character designs. The situation can be compared to the Dragon Ball Super manga, which is simply overseen by original Dragon Ball creator Akira Toriyama. Another major difference is that the manga sequel will only be released on a bi-weekly basis. 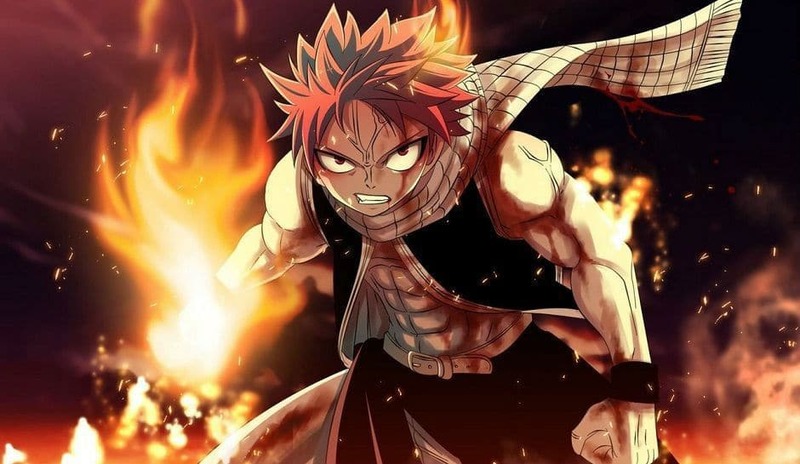 The publisher also confirmed that the new Fairy Tail manga series will connect directly to Fairy Tail Chapter 545, the ending of the first series, which ended with two notable cliffhangers. Natsu and his friends were embarking on a 100-year quest, so it’s very likely that the story will pick up some time during that adventure. Warning: Character relationship spoilers in the following paragraphs of this section. The relationship between Natsu and Lucy may also develop further since the Fairy Tail ending began to show growing sexual tension between the two characters. This major ship was practically confirmed in October 2017 when Mashima drew the child of Natsu and Lucy along with Gray’s kid. There’s no indication so far that the official Fairy Tail sequel will go the Boruto route by focusing on the next generation and the drawing was based on a fan request. However, the sequel has plenty of time to build the romance since Natsu is still single even though the final chapter did set up Natsu to confess his love for Lucy. Apparently, Mashima left everything ambiguous on purpose based on an answer he gave to fans at a 2018 anime convention in France. 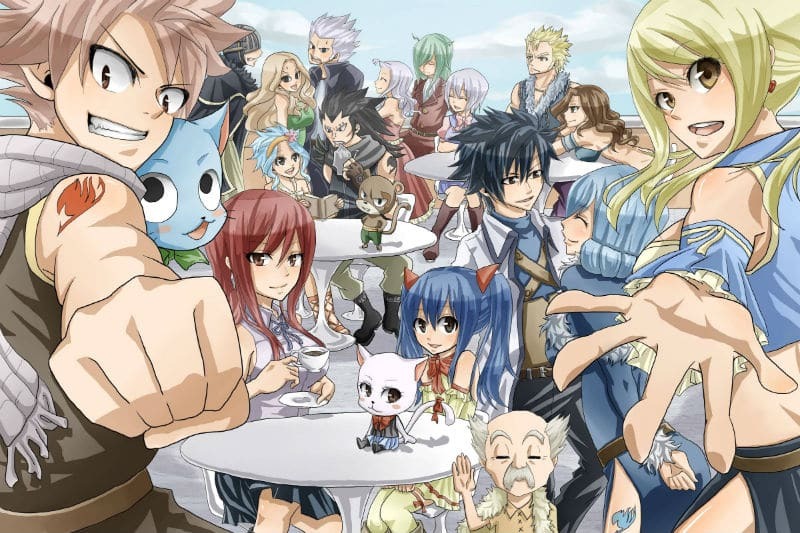 The third season will start off in a time when Lucy, Natsu, and Happy the Cat are trying to reform the Fairy Tail guild after it was disbanded. In the Tartaros story arc, Earth-land was saved from destruction at the cost of Igneel the dragon’s death and Natsu vowed to avenge Igneel by killing Acnologia. Oddly enough, the second season left audiences hanging during the beginning of the Avatar story arc, which is covered in Chapters 418 through 437 of the manga. Episodes 276 and 277 of Season 2 began this story by showing how Lucy was covering the Grand Magic Games as a writer. The contest was not that interesting until Natsu showed up as a surprise entry and easily defeated every competitor in the stadium. It turns out Natsu and Happy have been training hard for a year (although it could be argued Happy was hardly training since now he’s just really, really good at resisting eating fish). Lucy finds herself eating at a restaurant where the Fire Dragon Slayer regales her with tales from his recent adventures. When Natsu and Happy discover that the guild was disbanded, they make their intentions clear to the Royal Family with a message written in flames. After quickly fleeing from the royal army, the comrades set out on a quest to find the missing guild members. 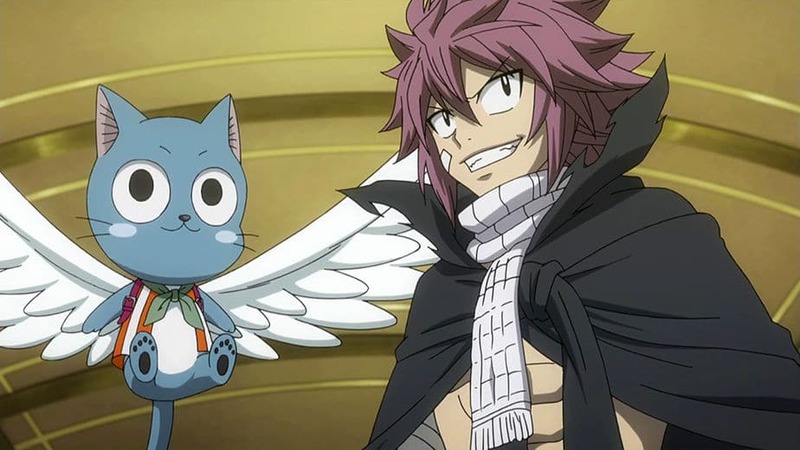 Fairy Tail Episode 278 will open with the travelers finding a town where Wendy Marvell and Carla the cat are living. Carla shocks the poor male cat using transformation magic to change into human form. While the reunion is nostalgic, events don’t go as expected when it comes to reforming the guild. Wendy has joined another guild called Lamia Scale and they’re in a fight with the Orochi Fin guild. Natsu, Lucy, and Happy resume their adventure only to find Juvia in a highly depressed state (even more so than usual). Gray had left their village for an unknown reason and she’s been waiting for six months while rain dumps down on her. During their investigation into Gray’s disappearance, it’s discovered that a cult called Avatar desires to destroy every mage who doesn’t pledge loyalty to Zeref. The remainder of the Avatar story arc focuses on fighting the Avatar cult and figuring out what happened to Gray. 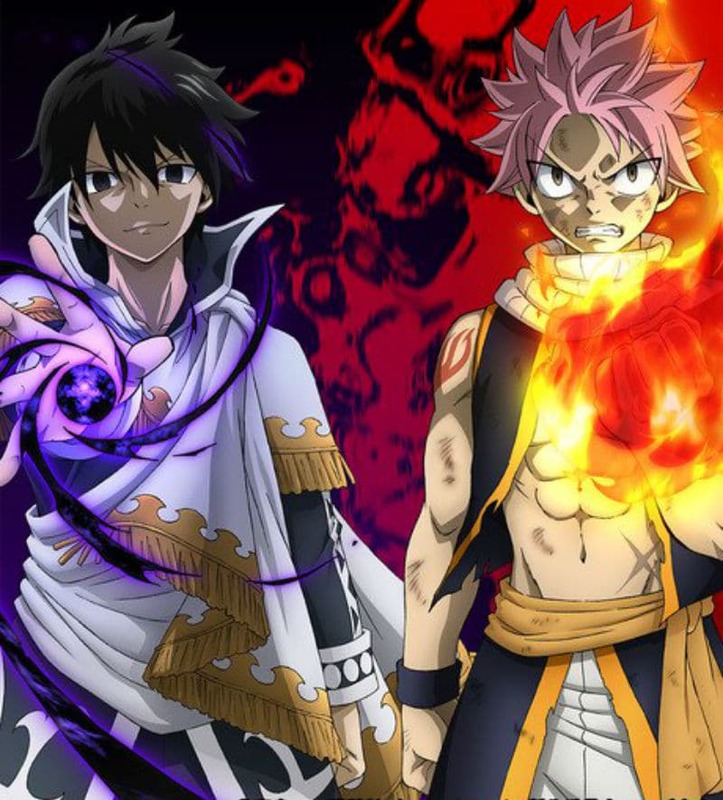 Zeref’s origin story will be told and Natsu shows off his new powers that he earned from training. As might be expected, the story ends with most of the major Fairy Tale guild members gathering in Magnolia at the ruined site of the old guild building. For context, the story of the Fairy Tail movie Dragon Cry takes place between volume 51 and 52 of the manga, which means the movie’s events bridge the gap between the Avatar story arc and the rest of Fairy Tail Season 3. The final Alvarez Empire story arc is the real meat of the story since it’s 108 chapters whereas the Avatar story arc numbers only 20. With the Fairy Tail guild revived with Erza Scarlet as Guild Master, everyone learns the disturbing reason why the guild was disbanded a year ago. The guild harbors a secret called Lumen Histoire and Natsu and his friends must infiltrate the Alvarez Empire to rescue their master. 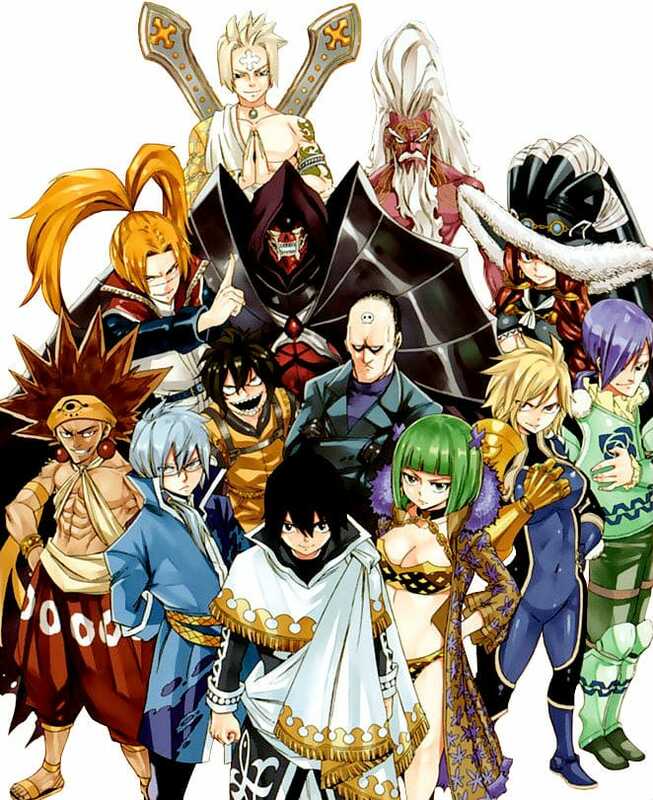 The epic journey will culminate in an invasion that’s spearheaded by Alvarez Emperor Zeref Dragneel and his personal guard the Spriggan 12. Thankfully, the Fairy Tail Season 3 release date is upon us and 51 episodes are planned. Let’s just hope the anime is renewed for the fourth season, as well. Stay tuned!